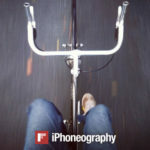 Jeff Broderick is at it again with his tweaks. 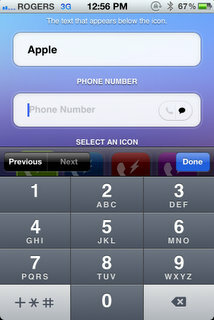 We first noted his iOS settings shortcuts along with QuickWifi, an easy way to share network credentials. This time around he has created a cool tweak called QuickContact that will allow you to make any homescreen shortcut to call or text one of your contacts–without jailbreaking. 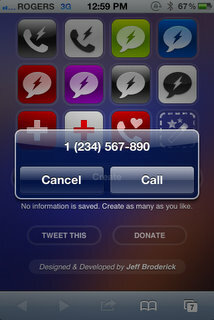 QuickContact is easy to use and setup. 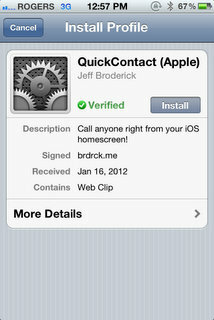 Just visit here: http://brdrck.me/quickcontact from your iPhone and follow the simple instructions. 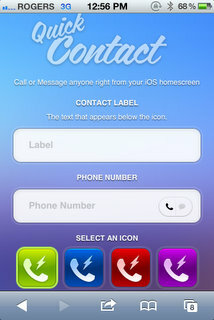 Enter in a name, phone number, select either the call or text icon, choose an icon (or make your own), then tap ‘create’. 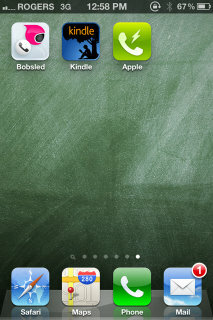 You’ll be asked to install a Verified Profile, and once you do the new shortcut will appear on your homescreen. Tap that new shortcut and it will either call or text the number you entered. Pretty awesome. Here’s my QuickContact shortcut on my homescreen. The moment I tapped it, the ‘Call’ dialogue popup appeared with the number I set. 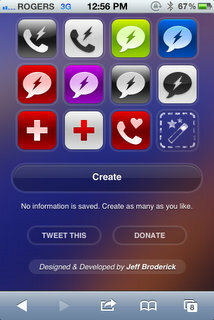 This is a fantastic tweak Jeff created in a couple days over the weekend–impressive stuff’. Keep it up, Jeff! Give this tweak a try and let me know what you think!